As teachers, we are always learning and honing our skills so that we can be the best we can be - whether it is in the studio or on the stage. To that end, we invite MEA members to submit photos and/or short articles about concerts, recitals and other related musical activities that may be of interest to fellow MEA colleagues. Click HERE to submit MEMBER NEWS! Nancy Modell will present a workshop for teachers at the conclusion of her presentation, Creative Composing for pianists: Empower Creativity, Nurture Musicality, at the 1st Suzuki Convention of the Americas, in Cancun, Mexico, May 1–5. Sophia Agranovich will perform a solo concert at the Watchung Arts Center, 18 Stirling Rd, Watchung, NJ on May 11 at 7:30 PM. In the program are works by Beethoven, Chopin, Liszt, Mendelssohn, and Debussy. More information: watchungarts.org. Sophia Agranovich will perform a solo concert featuring works by Beethoven, Chopin, Liszt, Mendelssohn and Debussy at the Lambert Castle Concert Series, 3 Valley Road, Paterson, NJ on June 23 at 5 PM. It is sponsored by the Passaic County Historical Society. David Witten and Sondra Tammam, Co-Directors, announce The 8th Taubman Piano Festival 2019 at the Cali School of Music, Montclair State University, Fri/Sat/Sun - June 28-30. MEA members, Dan Crisci, Dragica Ćurčić, and Nancy Modell are Festival faculty. Single day attendance is welcome! Come listen to our free evening concerts! Nancy Modell will conduct student master classes at the New Jersey Suzuki Workshop at The College of New Jersey on July 20-21. 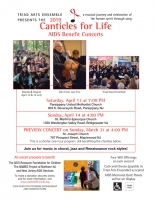 MEA members Dan Crisci and Lisa Gonzalez are part of the 2019 Canticles for Life Concerts in March and April. The Triad Arts Ensemble presents three AIDS Benefit Concerts - Sunday, March 31st, 4 PM @ St Joseph Church in Maplewood NJ, Saturday, April 13th, 7 PM @ Parsippany United Methodist Church in Parsippany NJ, and Sunday, April 14th, 4 PM @ St Martin’s Episcopal Church in Bridgewater NJ. All proceeds to benefit The AIDS Resource Foundation for Children, The NAMES Project of Northern NJ and New Jersey AIDS Services. In addition to accompanying the chorus, Dan will perform a set with his jazz trio. Join us for a musical journey and celebration of the human spirit through song! Concert details on the Canticles for Life website and on Facebook. 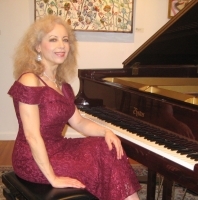 Nancy Modell is invited to present Creative Composing: Embracing Creativity, Nurturing Musicality at the Piano Teachers Congress of NY on Thursday, April 4 at 10:30 AM at the Yamaha Artist Services, 689 5th Ave. #3, New York, NY. Beatrice Long and pianist Jo-Hwa Yao and I for a recital on Sunday, March 24 at 3 PM at Jacobs Music, 2540 Brunswick Pike, Lawrenceville, NJ. This event is presented by the Steinway Society of Greater Princeton to aid students with scholarships. The afternoon recital will feature duet music by Faure and Brahms; solo piano works by Beethoven, Scriabin Piazzolla and the world premiere of Tango Zurdo by young and an upcoming Mexican composer Eduardos Palacios. Admission: $20 individual nonmembers; $10 full-time students. 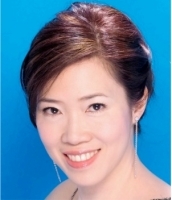 Cosmos Piano Duo, Yuka Yanagi and Kai Pangune Kim, will perform Sunday, March 24 at 2 PM at the Fort Lee Library. Works by Bach, Strauss, Liszt, Stravinsky, Rossini, Bizet, and Khachaturian. Birgit Matzerath will introduce her memoir More than the World in Black and White - How music came alive and my life became music on Sunday, February 24 at 11 am at the Ethical Culture Society of Essex County, 516 Prospect Street, Maplewood NJ. 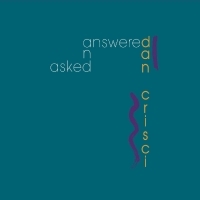 Dan Crisci released a new CD, “Asked and Answered”, in January 2019. It features Dan’s original jazz compositions with Dan on piano, Paul Ivory on bass, Steve Holloway on drums, John Carlini on guitar, Anton Denner on alto flute, flute, alto sax, and soprano sax, and Rob Thomas on violin. Birgit Matzerath's memoir More than the World in Black and White- How music came alive and my life became music is now available on Amazon. The book traces the author's development from a child who resented her talent into a woman whose life is grounded in music. It explores how the fulfillment of talent is influenced by family dynamics and life events. First reader responses are enthusiastic. 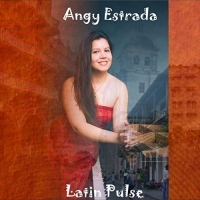 To read more about the book, go to https://www.amazon.com/MORE-THAN-WORLD-BLACK-WHITE/dp/1731108605 and check out the January 2019 posting on the author's blog: Music, Life and other Challenges. On Sunday, January 20, Birgit Matzerath presented a lecture-recital on "Preludes and Fugues from Bach's Well-Tempered Clavier as a source of meditation" at Beacon Unitarian Church in Summit, NJ. The event was part of the church's annual "service auction" fundraiser. On October 28, Sophia Agranovich will play at the concert presented by the International Music and Arts Society at the Carnegie Weill Recital Hall. Michelle Kuo and her son, Christopher Kuo, are launching their upcoming Two Piano Journey season with a brand new program filled with exciting dances and indulgent romances from Spain, France, Argentina, and Russia by Gustavino, Infante, Ravel, Rachmaninoff, and Saint-Saëns. Watch this documentary to learn more about their project. They are dedicating their coveted Zankel Hall at Carnegie Hall debut on October 27 at 7 PM, to Rescuing Leftover Cuisine, a critical food rescue nonprofit that brings leftover food from restaurants to families in need in 18 cities in the country. Their model is simple - volunteers carry prepared food that otherwise would be thrown away by restaurants to food pantries, soup kitchens, and shelters within walking distance. The end result - more than 2MM pounds of food have made it to families in need instead of landfills, restaurants are able to save money by reducing food waste taxes, and the environment benefits by a reduction in CO2 emissions. They have already received nearly $50,000 in sponsorships and commitments for Rescuing Leftover Cuisine this fall. 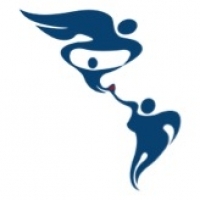 Please help them reach their target of $100,000! We regret to notify you that the Plainfield Music Store has officially closed its doors, permanently. The store, both online and retail, is no more. Maplewood's DeHart Community Center, 120 Burnett Ave., has recently acquired a concert grand due to the generosity of local music lovers. 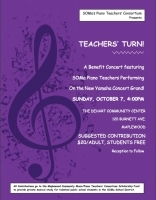 To celebrate this instrument, local teachers will present a recital entitled "Teachers' Turn!" on Sunday, October 7, at 4:00 PM followed by a reception. Suggested donation for adults is $20, students are free. This event is a fund-raiser for a scholarship fund to benefit local music students who lack resources for private music lessons. Performing are MEA members Kathy Allen-Roth, Elizabeth Burnett, Vicki Carter, Dan Crisci, Maxine Giannini, Birgit Matzerath, Nancy Modell, Yudit Terry, Tricia Tunstall, and other musicians. This is a celebration not to be missed! Pianist Murray Present (1921-2012) was a loyal and distinguished long-time member of MEA. A life-long resident of Montclair, his teaching career included 44 years as a Piano Professor at Montclair State University. The John J. Cali School of Music at Montclair State University is pleased to announce to the MEA community of music teachers a new piano scholarship that will honor the legacy of Professor Murray Present. The Murray Present Memorial Piano Scholarship will be awarded to an incoming pianist applying for undergraduate or graduate study at the Cali School of Music. The award will be in the amount of $5,000 per year. An undergraduate award may be extended for a total of four years, and a graduate award may be extended for two years. No special application is necessary; the recipient will be chosen from among those applying to the Cali School of Music. For further information, please contact Dr. David Witten at wittend@montclair.edu. Cherwyn Ambuter performed a piano solo children's concert at Calvary Baptist Church, Warwick, NY. 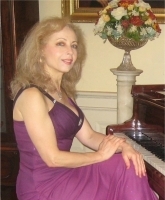 Joan Bujacich will be giving a concert in Danbury, Connecticut at the Richter House located at 100 Aunt Hack Rd. It is an outdoor concert and it begins at 3:00 P.M. Joan will be accompanied by guitarist/vocalist Joe Bilotti. The duo version of their “The Heart Of Gold Band” brings fresh arrangements to familiar classic rock songs. Admission is free. Please join Sojung Lee in her Trio Fontēs Recital at the Middletown Library on Monday, August 27 at 7 PM. On August 26, Sophia Agranovich will perform a solo concert at the antique period piano in Belvidere, NJ. 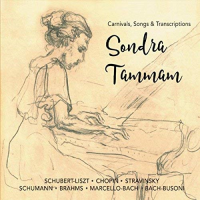 Sondra Tammam released a new CD: "Carnivals, Songs, and Transcriptions" on the Primo Artists label. The album includes works by Schubert - Liszt, Chopin, Stravinsky, Schumann, Brahms, Marcello - Bach and Bach -Busoni. On June 19, Sophia Agranovich performed the same program at the Lambert Castle Museum sponsored by the Passaic County Historical Society. 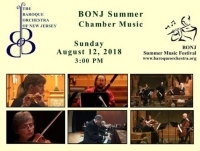 Cherwyn Ambuter performed a fully improvised piece for violin solo accompanied by harpsichord and cello for the Baroque Orchestra of New Jersey Summer Music Festival Chamber Music Celebration with Sariah Johnson, cello and Agnes Kwasniewska, violin. It was a fantastic musical growth experience! She also played harpsichord continuo together with Sariah for another piece for two flutes and bassoon.